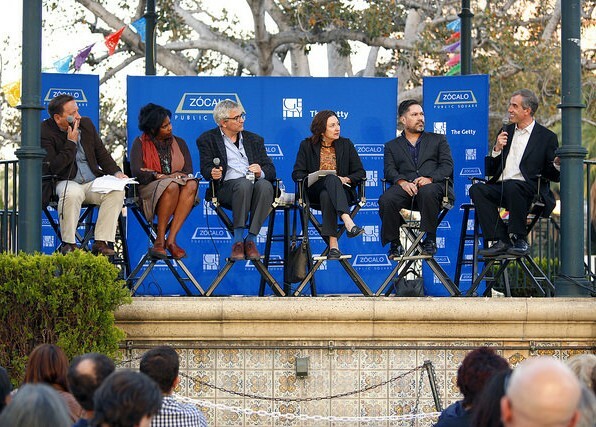 To better preserve its past, Los Angeles needs a better sense of its history—and the places that define that history, said panelists at a Zócalo/Getty “Open Art” event at the Plaza on Olvera Street. 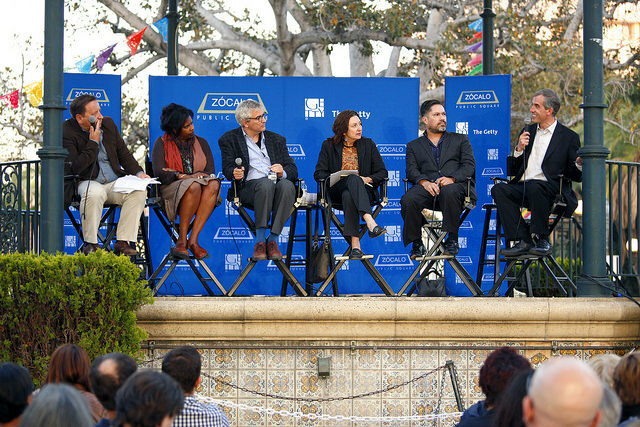 For over an hour before a full house—or more accurately, a full plaza—crime novelist Denise Hamilton, Libros Schmibros founder David Kipen, L.A. Office of Historic Resources manager Ken Bernstein, L.A. Weekly staff writer Dennis Romero, and KCET arts and culture columnist Lynell George discussed the places from the past that make L.A. feel like home today. 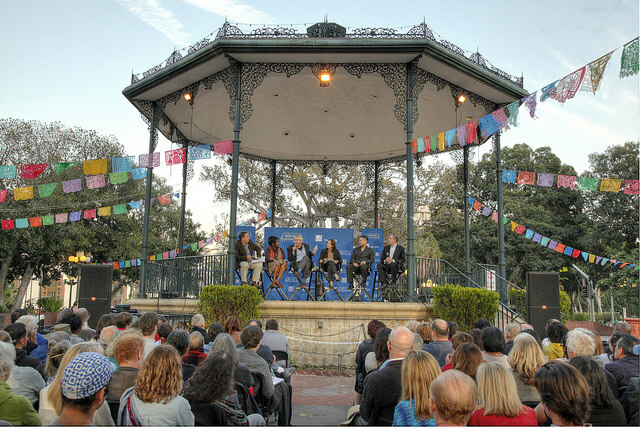 The conversation, conducted under the band shell and the plaza’s Moreton Bay fig trees, offered details on the new HistoricPlacesLA.org, an online information and management system to inventory, map, and describe Los Angeles’ historic resources. Data is still being added, in part from an ambitious citywide survey of historic resources that is a partnership between the city, the Getty Conservation Institute, and the Getty Foundation. 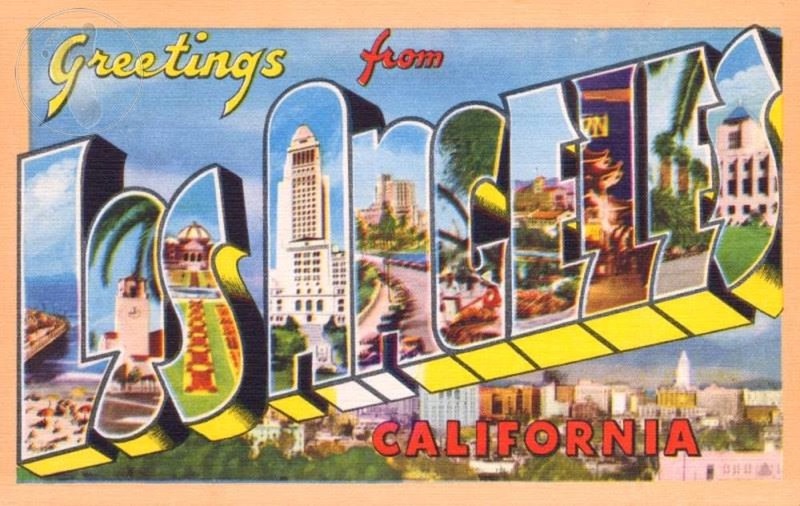 The panelists lamented lost sites of L.A.’s heritage—the replacement of the Ambassador Hotel by public schools, the tearing down of author Ray Bradbury’s house, the loss of historic neighborhoods in Koreatown—but also noted progress. 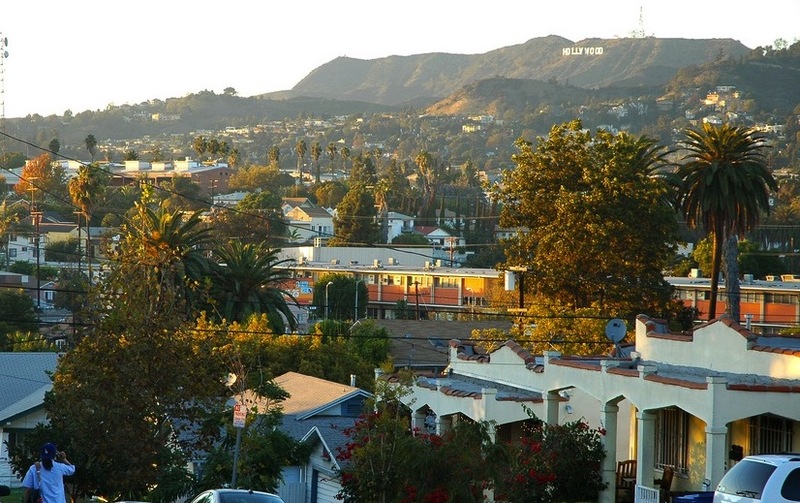 Bernstein said Los Angeles had the second largest program of historic districts in the country, and one of the most intact historic downtowns of any U.S. city. “We’ve lost a lot, but we’ve also preserved a lot,” he said. 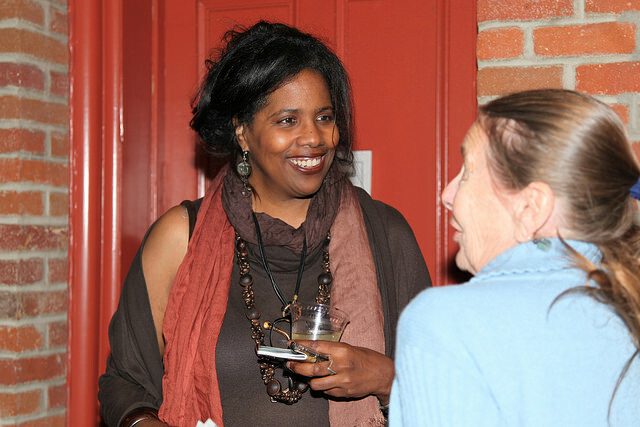 George, the arts and culture columnist, said that, as a native of Los Angeles, the preservation of history is crucial to creating a civic memory and to her own navigation of a fast-changing place. “I am constantly trying to relocate my touchstones, “she said. “One of the reasons I started getting out of the car and walking was so I could be in the city again, and connect with the city and find those threads.” Such connections are about more than building; they can be about nature within the city. “There is something about having these sense memories of trees or bushes or flowers,” she said. 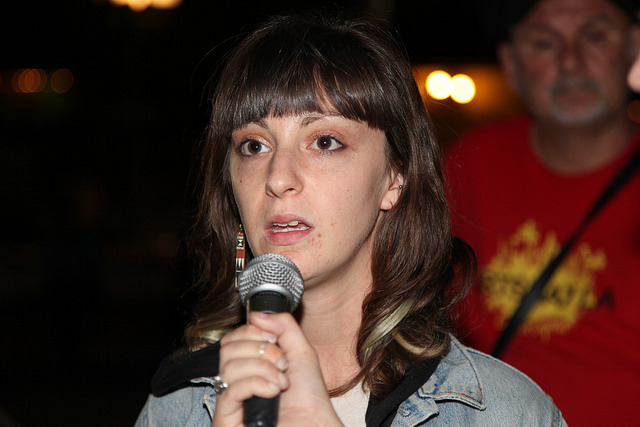 L.A. Weekly’s Romero suggested that gentrification in the city, for all its problems, could be a force for preservation. “Interest in preservation is increasing as L.A. neighborhoods gentrify and people find value in their communities,” he said. 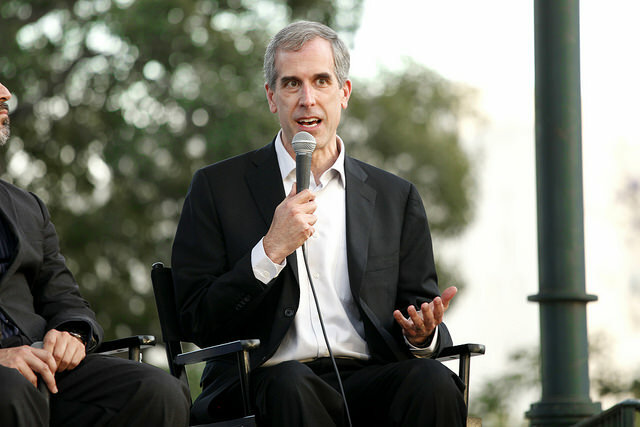 He also predicted tension between efforts to develop more affordable housing in L.A. and preservation goals. “You have this pressure to develop the inner city and create more housing, and yet you don’t want to tear things down,” he said. During a question-and-answer session, audience members posed specific queries about a variety of projects—restoration of the L.A. River, housing and preservation in Skid Row, development in Jefferson Park, and the possible move of the city’s Channel 35 into the Merced Theatre, L.A.’s first theatre, a stone’s throw from the event site. 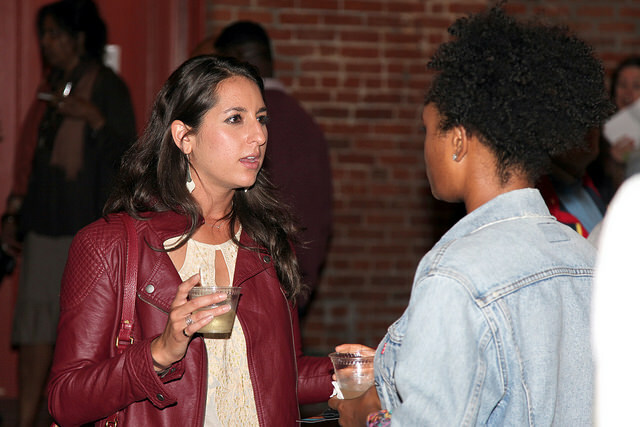 This event was produced for Open Art, a partnership of the Getty and Zócalo Public Square.